The Cannabis Control Commission will be voting whether to award the first license, which would go to Sira Naturals to grow pot for recreational use. The license would allow Sira Naturals to grow marijuana to be used in recreational products like edibles and oils, but not sell it. “So we would not be able to turn around the next day and start selling recreational cannabis out of any of our shops,” said Dundas. That’s because no licenses have been granted yet to any retail pot shops. July 1 is when sales become legal, and Dundas believes the Cannabis Control Commission will start awarding retail licenses soon. 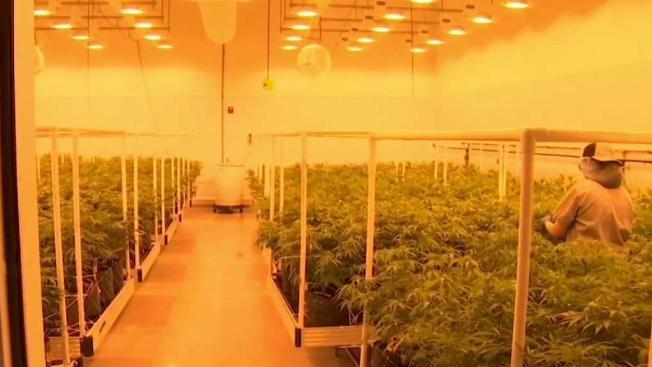 “It seems like a small handful of licenses will be given out for retail locations in the month of July and I think we’ll see a controlled roll out as the months go by,” said Dundas. It’s unknown exactly when any retail pot shops will get actually get a license to sell. The Cannabis Control Commission will meet on Thursday to vote on the cultivation license for Sira Naturals.